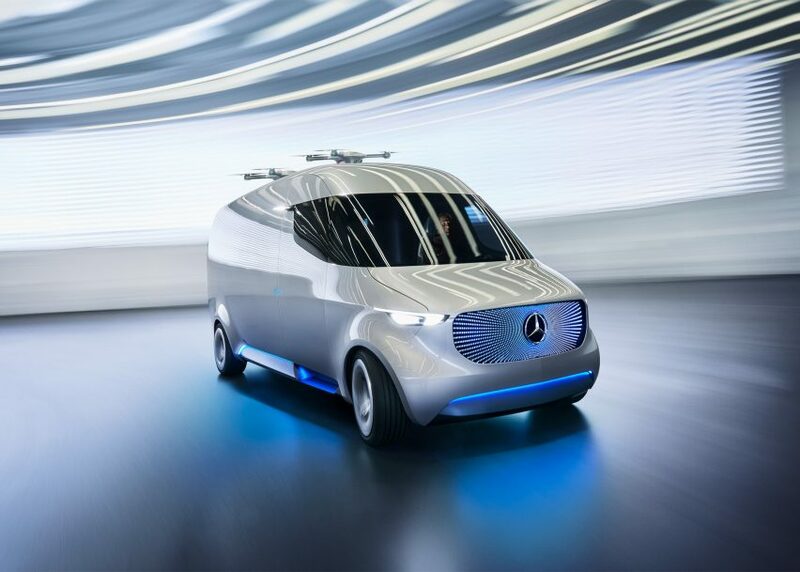 Mercedes-Benz has unveiled plans for a delivery "van of the future" that features fully automated cargo loading and drones that drop off packages (+ slideshow). 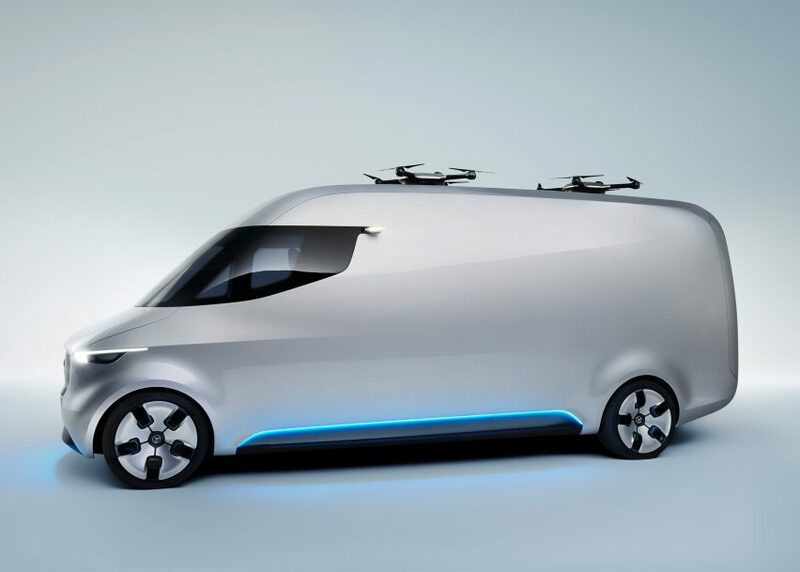 The electric Vision Van was developed to make the last stages of the delivery process more efficient and reliable. It acts as a launching pad for a number of drones, which are able to deliver packages faster than if they were to fly all the way from warehouse to door. 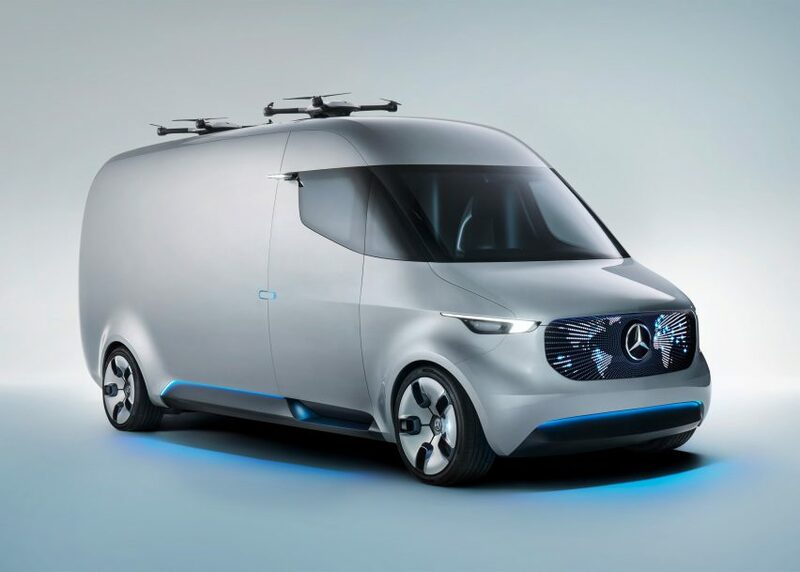 The company believes its van would increase the quality and flexibility of delivery services, particularly in built-up urban areas where parking and unloading is an issue. They also claim that the delivery time per package would reduce, meaning that retailers could more accurately estimate the delivery window for their customers. 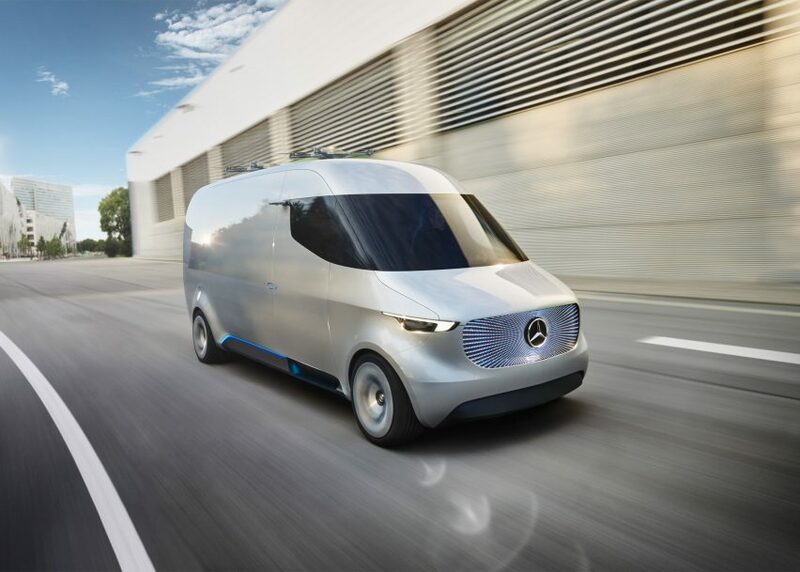 "With the Vision Van we are presenting the intelligent, clean and fully interconnected van of the future", said Volker Mornhinweg, head of Mercedes-Benz Vans. 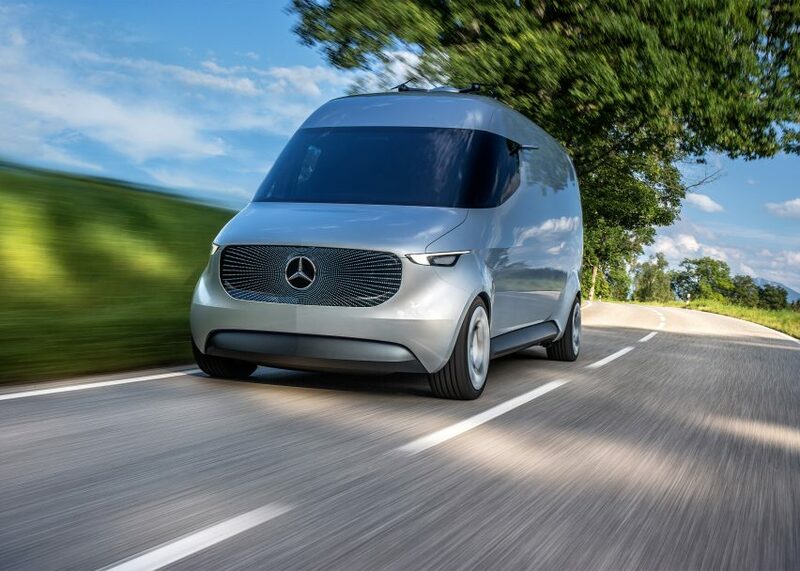 "The Vision Van integrates many concrete concepts for future delivery operations in the urban environment." 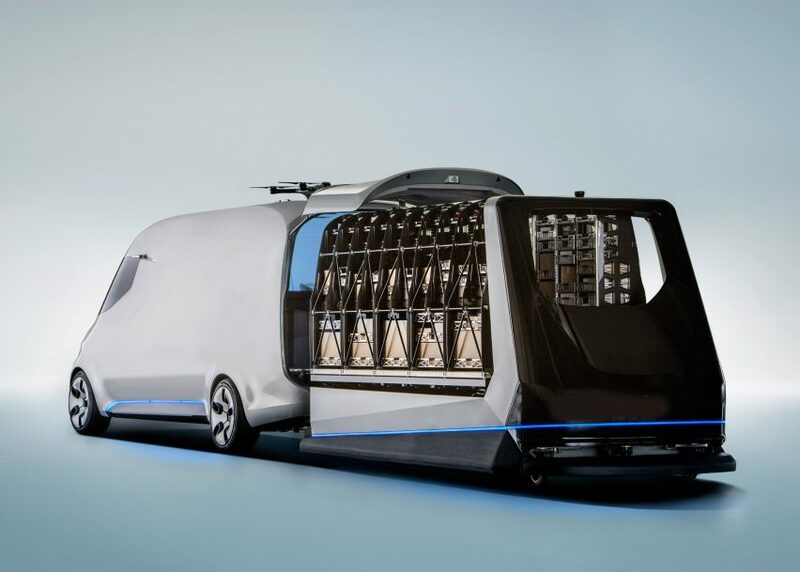 As well as drones, the van would feature a number of technologies, including a fully automated cargo space management system, which is loaded into the back of the van at the warehouse. 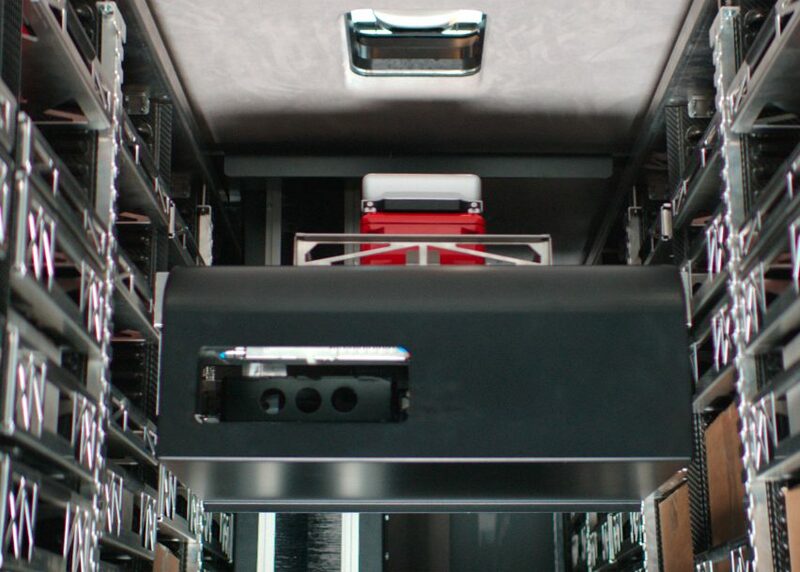 Once on the road, the system scans the cargo space in the the van for the right package. Once it has been found, the package is raised up to a hatch in the roof and attached to a drone that delivers it to the recipient. 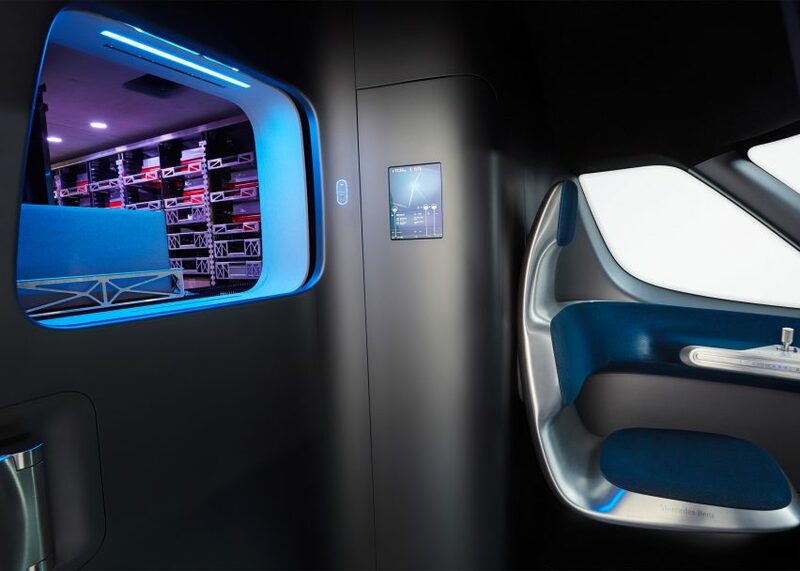 This means that, aside from the actual driving, the delivery process would be determined completely by a series of algorithms – each of which organise order picking, package loading and route planning for the vehicle and delivery drones. 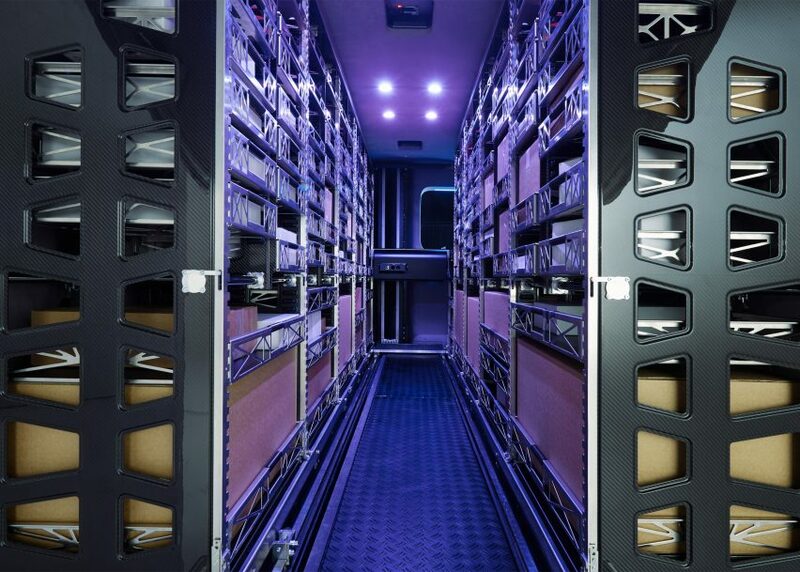 "We are integrating the intelligence of a state-of-the-art logistics depot into a van," Mornhinweg continued. 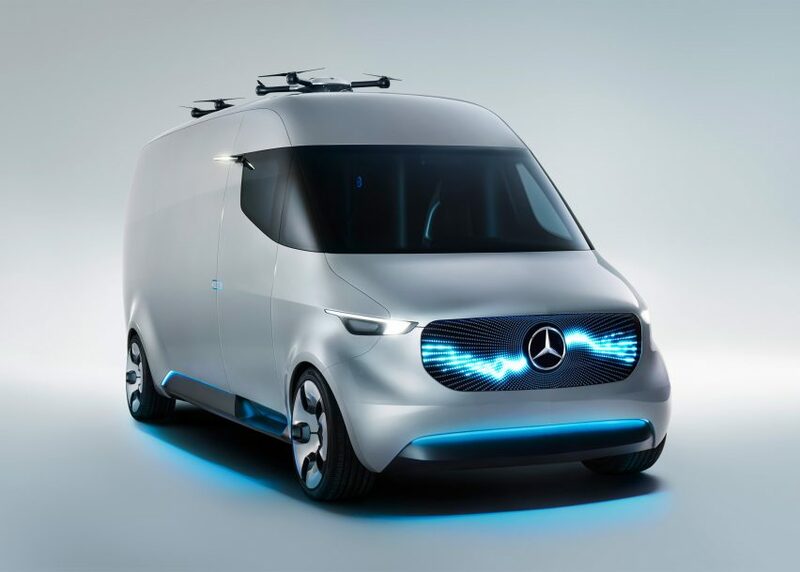 "We estimate that this vehicle would enable an increase in productivity of up to 50 per cent in last-mile delivery services." 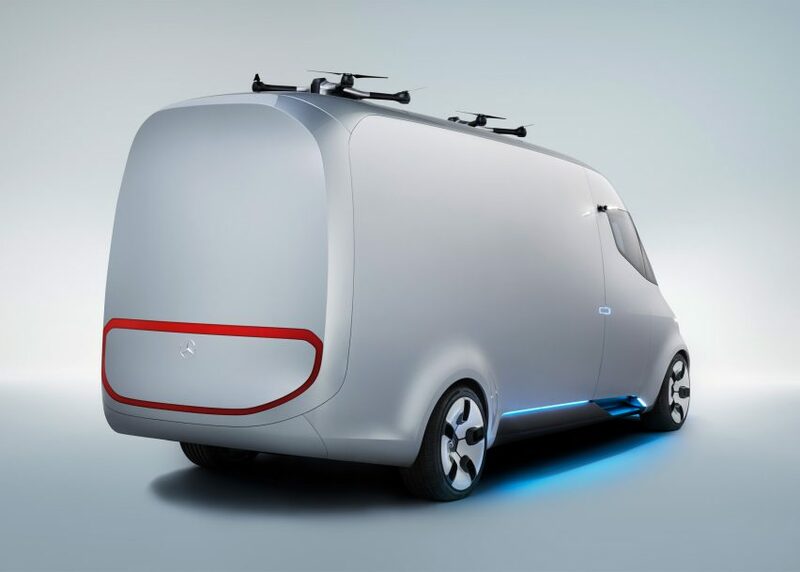 The design of the van itself is intended to look futuristic. The front of the van has a wide windscreen, which curves around to join the side windows. The radiator grille is fitted with a series of LEDs that glow depending on the van's surroundings. At the rear of the vehicle, a second set of LEDs alert nearby drivers when drones are about to take off, the vehicle stops or the driver isn't present. 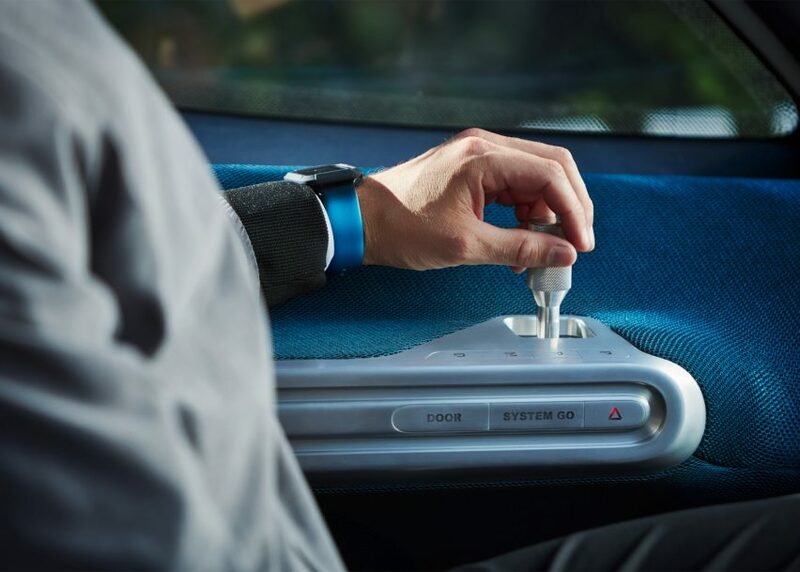 Inside, a wheel and pedals have been replaced by a single joystick that allows the driver to steer, brake and accelerate. 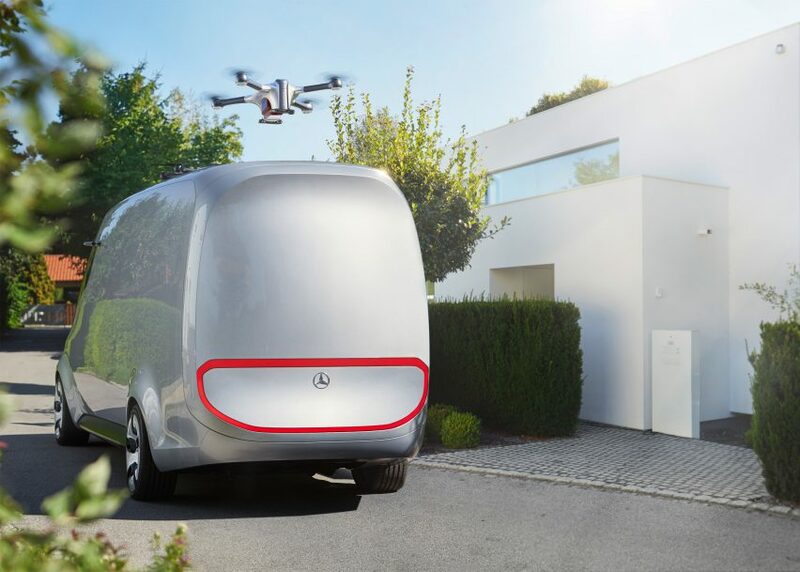 Mercedes-Benz isn't the first company to propose drones as a delivery method. Online retailer Amazon unveiled a video of its PrimeAir delivery drones in action – claiming that the service will be able to deliver packages 30 minutes after they were ordered. Google also published a video showing tests of its own drone service called Project Wing in 2014.